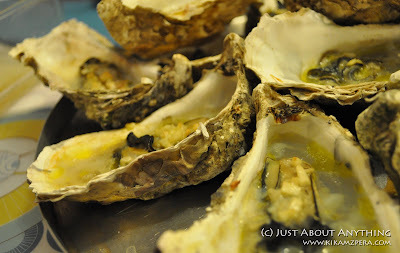 I love seafoods and so it goes without saying that I love oysters (talaba) too! We had baked oysters two weekends ago. It was my first time to make them so I had to make it as simple as possible. Remember the saying "less is more"? One must first make sure that the oysters are fresh. How do you know if they are fresh? By smelling them, of course! If a shucked oyster smells like fresh seawater, then it is safe to eat, even when raw. 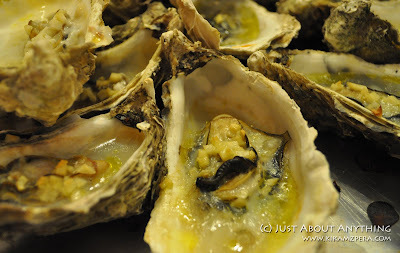 Anyway, I found this very simple recipe on how to bake oysters in the shell. It is very simple and easy as 1,2,3 if you know how to shuck the oysters first. I had a hard time shucking them at first since I didn't have an oyster knife but with practice, it became easier. Good thing I found this very helpful video on how to do it. Want more yummy food? There's always something that suits you palette over at Food Trip Friday!